Today is World Wildlife Day! 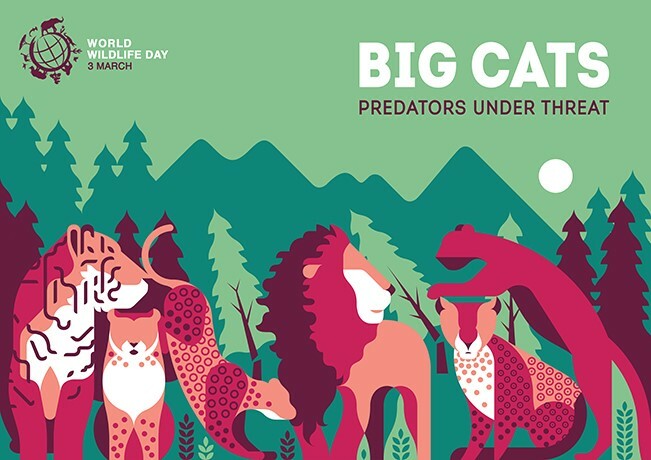 Set up by the United Nations and organised by CITES (the Convention on International Trade in Endangered Species of Wild Fauna and Flora), World Wildlife Day has been an annual event since 2014. Described as the ‘most important global annual event dedicated to wildlife’, the aim of World Wildlife Day is to celebrate and raise awareness of the earth’s wonderful animals and plants and promote their protection. Each year it has a special theme. This year the focus is on big cats. Why big cats? In a nutshell, because they’re in trouble. Big trouble. Lions, tigers, leopards and jaguars, as well as other wild cats, are in crisis. It can feel difficult to take this in. Big cats, especially lions and tigers, are vivid in our minds. It’s easy to picture a lion roaring on the savannah or see a tiger dashing through a sunlit forest, but the reality is that many of these species are on the brink of extinction. Their populations are crashing, declining at frighteningly fast speeds. For example, in Asia, tiger populations have plummeted by 95 percent in the last century. 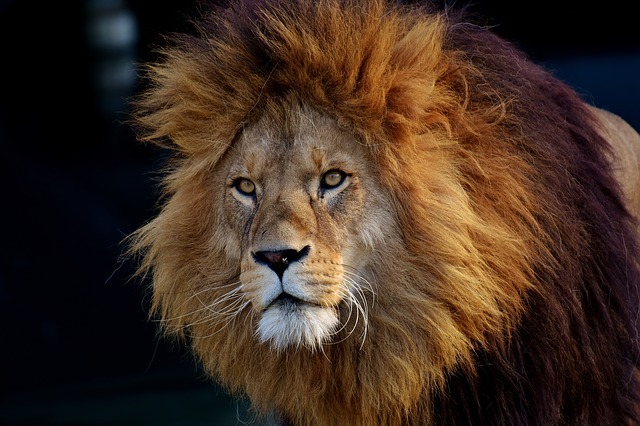 And in Africa lion numbers have fallen by 40 per cent in just under two decades. 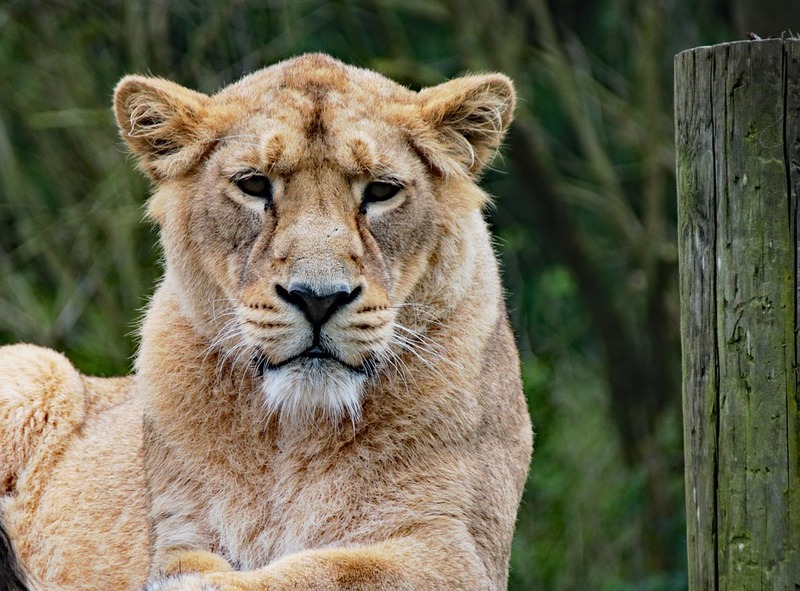 Many experts believe fewer than 20,000 lions now remain in the entire continent. During my time as a travel writer, I was lucky to have had many encounters with lions. All different. All mesmerising. So, when I learned about the plight of lions, I wanted to understand how one of Africa’s most enduring icons could be in such peril? What happened, I wondered, to the lions that roamed Africa in their millions a couple of centuries back? What happened to the ancient lions that left Africa for Eurasia, eventually reaching North America? And what happened to the big cats that moved into Asia, populating vast territories from northern Greece to Pakistan and further south to India? When The Last Lion Roars, is all about these missing lions. It tells of their rise during the Ice Age and their fall in more recent times. It reflects on our journey with them and the effect we have had on them, from our very first encounters as early humans to the dramatic interactions of lions with pharaohs, emperors, maharajas and European royalty, to everyday folk just protecting their livestock and kin, and the trophy hunters of modern times. But my book also tells the story of the people protecting our last lions. These include men, women and children who share their landscapes with lions and who have found ways to live together, conflict-free. They also include scientists, researchers and conservationists who seek to find ways to help people and lions live peaceably together. Which is why I’m delighted World Wildlife Day is putting the plight of lions and other big cats in the spotlight. Giving more people the opportunity to get involved in protecting some of our most charismatic predators. 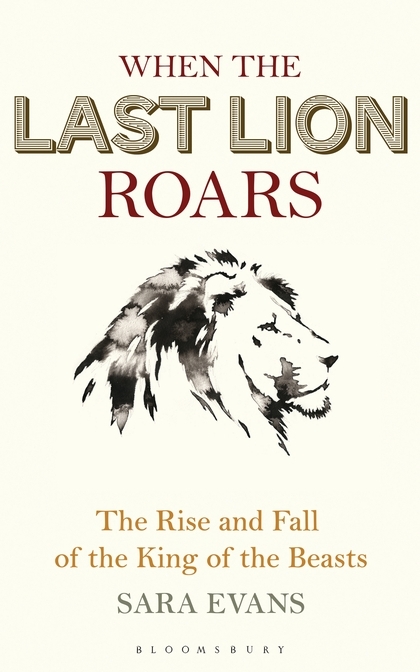 When The Last Lion Roars is published in June. Pre-order your copy here. Sara Evans is an award-winning writer and photojournalist, specialising in travel and wildlife. Her work has beenfeatured in the Telegraph, LonelyPlanet Travel Magazine, BBC Wildlife Magazine, AfricaGeographic, Countryside Wildlife Magazine and many others. She won the 2005 Independent on Sunday and Bradt Travel Writing competition andhas been shortlisted in a number of BBC writing competitions.